Serial # 71442. An excellent addition to anyone's collection. ESTATE KENWOOD MC-60A DESK MICROPHONE,ORIGINAL BOX MANUAL CLEAN PIECE. Condition is Used. Shipped with USPS Priority Mail. Sold as is no returns accepted due to swap parts. Bir accordingly please. Prenez en considération que l'objet qui vous sera expédié sera identique a la photo principale de l'annonce, entouré en jaune. Version of this kit (top photo), and PC board 1-tube radio kit, with B eliminator. The level of the input source will need to be adjustable, and you have to provide an appropriate input connection or jack (not included). No longer will you have to "blindly" send DTMF commands. DTMF Squelch (keep radio quiet until it receives a specific call). Logging of DTMF to PC with 1-WIRE output. It is up to you to decide if and how you want to use this feature. Should the TX frequency ever need to be changed, the CFM-95SL is easily re-tuned to the new frequency. The CFM-95SL is in use with thousands of low power FM stations world-wide providing better coverage area and increased signal strength when compared to a standard 1/4 wave antenna. The item is in good condition. If not I will describe any problem. THIS SET IS IN GOOD WORKING CONDITION. BUT Not: APO FPO etc. This is aHARDto FIND item ! 1000 Watts 2-30 MHz (Coaxial Dynamics # 82008) (Quantity 1). Two Year Limited Warranty. 10 ,000 watts full scale 50-125 MHz. What is "Peak Mode"?. 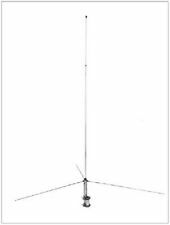 5000 Watts 2-30 MHz (Coaxial Dynamics # 82010) (Quantity 1). Two Year Limited Warranty. Latest Firmware UCM R05.07.15. I have other UCM Modules with 4 Algo's, 3 Algo's and 2 Algo's to fit your needs and budget. If my warranty seals get broken then so does your warranty. KG6 AES-256. This sale is for the Pelican 1200 Case only. Pelican 1200 carry case for the Bird 43, 43P, 4410A, 4304, 4308 and similar Bird Wattemters. This sale is for one Pelican 1200 carry case only. THIS SET IS IN GOOD WORKING CONDITION. The item is in good condition. If not I will describe any problem. at 100 Khz and output signals checked. There are 4-holes on the top cover as pictured. MOST ARE THE LAST ONES I HAVE ! 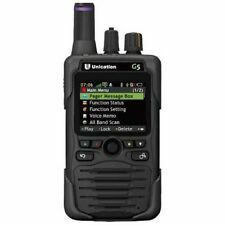 The Unication G5 is a phase 2 conventional and P25 pager. They have the ability to alert on 2-tone paging on a conventional channel, as well as a P25 channel. Unication G5 Pager. VHF 136-174 MHz & 700/800MHz. Attenuation: 45dB, adjustable /- 8dB (Model 87005). 25000 Watts 2-30 MHz (Coaxial Dynamics # 820S016) (Quantity 1). Two Year Limited Warranty. 3 TUBE PROVEN DESIGN AND IT MAKES A GREAT GIFT! Two New 800 Watt Hybrid 100 ohm Load Resistor good to 500 mHz for 1500 watt Load. It is a solder in type part with no RF connectors, and. For pulse operation, the each part is rated at 8000 watts for 1% duty cycle and pulses less than 100 microseconds. After Market PEP CDMA TDMA SSB AVG Peak Power Conversion Kit. 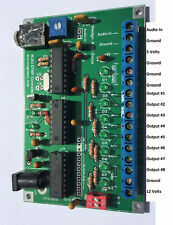 PEP SSB Peak Module Board (New). Push-on/push-off switch for easy switching between CW and peak power. This circuit design has a precision chop stabilized front end amp followed by separate peak detection and hold circuit, so eliminating dc and temperature drift errors. FREE - Bird User Manual Downloads. Military Bluesky mast system tripod. JUST THE TRIPOD PICTURED IS INCLUDED. In most situations you can buy a Square Trade warranty on the item for a small fee. Cobra MR HH350 FLT Floating 6w VHF Radio. 6 Watt VHF. Never lose your radio. Floating design and orange core makes retrieving radio easy if dropped overboard. Cobra Part Number: 143-MRHH350FLT. 3-Year Manufacture Warranty (on radio). UTILIZZABILE SU APPARATI YAESU ICOM KENWOOD ETC. Apparato ad alta efficienza progettato e costruito per limitare al massimo i disturbi di natura. SiamoRIVENDITORI PROFESSIONALI con punto vendita aperto al pubblico da oltre 10 anni In caso di FATTURA per possessori di P.IVA. Model: T5795A. Motorola KVL3000 Key Variable Loader ONLY with new battery (DES Mode Only). Good Condition, SEE PICTURES. Motorola Keyloader KVL 3000 Encryption Loader with New Battery Only. One Level of encryption: DES Mode. The Model 43 is easy to use and simple to service in the field. 50 Watts 2400-2500 MHz. For CDM radios, use center 16 pins. All IDs are "polite". Morse code IDs are attenuated if the repeater is in use. 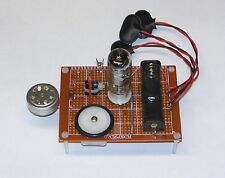 AMPLIFIED audio mixer for repeater audio and ID. Optional de-emphasis for repeater audio. Model Number: 4051. Manufacturer Part Number 4051. Product Model 4051. 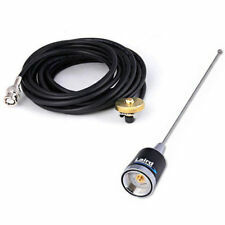 SHAKESPEARE - 3 FOOT CB MARINE ANTENNA WITH 1-14 THREADED BASE & 7' COAX CABLE WITH PL259 CONNECTOR. Manufacturer: SHAKESPEARE. Manufacturer SHAKESPEARE. The Model 43 is easy to use and simple to service in the field. 100 Watts 25-60 MHz NEW (Quantity 1). HERE IS A ESTATE ICOM IC-7000 TOP AND BOTTON COVERS WITH SPEAKER,THEY LOOK NEW. Motorola Keyloader KVL 3000 Encryption Loader ASTRO25. 2 Modes = Astro25 & ASN. Astro 25 Mode 2 Levels of encryption. ASN Mode 1 Level of encryption. International Sales. It is a solder in type part with no RF connectors, and 1500 watts PEP for short periods. For pulse operation, the part is rated at 8000 watts for 1% duty cycle and pulses less than 100 microseconds. The size is no bigger then a BIBLE! Perfect for your work bench or radio station desk! Engineered like all other great DELTA products with specifically radio operators in mind! Powers Cellular Phones,12V DC CB Radios, Scanners, HAM Radios, Autosound Systems, etc. 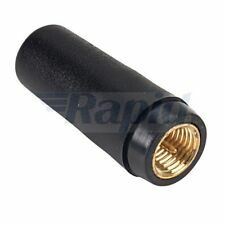 100 Watts 2-30 MHz (Coaxial Dynamics # 82005) (Quantity 1). Two Year Limited Warranty. Digicolibri Plus. Interfaccia USB per modi digitali per apparati ICOM con presa ACC a 8 poli e CAT CI-V. Completa di CAT secondo lo standard Icom CI-V da collegare alla presa "Remote" dell'apparato. 1000 Watts 50-125 MHz (CDI# 82027) (Quantity 1). The Model 43 is easy to use and simple to service in the field. 1000 Watts 50-125 MHz. Trucking or Conventional, 400 MHZ, F2, 488- 512 MHZ. BC60XLT1, BC70XLT, BC80XLT, BC120 XLT, BC220XLT, BC230XLT, BC235XLT, BC245XLT, BC2500XLT, BC3000XLT, SPORTCAT, SC150, SC150B, SC150Y, SC180, SC180B, SC200, AD70, AD70U, AD-70U, AD-7019 RELM HS200, HS100, PRO90. Can use ICOM’s Voice synthesizer to readback current frequency when scanning. It can also use the SCOM synthesizer to send the frequency. Great features at a GREAT price. Current< 8 mA at 12V with the LED status off and< 4 mA when at 3 Volts. 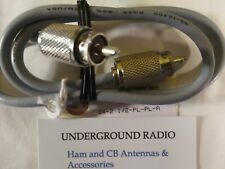 100 Watts 50-125 MHz (CDI# 82024) (Quantity 1). Gold Plated For High Conductivity. RIGEXPERT AA-30 ZERO. ANALIZZATORE 0-30 MHZ IN KIT. Gli utenti esperti possono associare AA-30. ZERO alle schede Arduino creando il proprio progetto hardware / software, poiché AA-30. ZERO è compatibile con gli standard Arduino. 10,000 Watts 2-30 MHz (Coaxial Dynamics # 82011 (Quantity 1). Two Year Limited Warranty. ).